If you are tired of getting the runaround when it comes to shopping for a used truck near Livingston, make your way to Bozeman and the friendly lot of Ressler Motors. At Ressler, you are going to find a wide selection of used trucks at just the right price point and sure to fit just about every budget out there. Whether you are adding a truck to the work fleet or looking for more power to pull your camper on the weekends, we have the truck for you. Browse our current selection online, or stop by to take a closer look at what we have to offer. Everyone’s a winner when it comes to truck shopping at Ressler. If you are looking for a used truck that is built to last a lifetime, look no further than Ressler Motors. 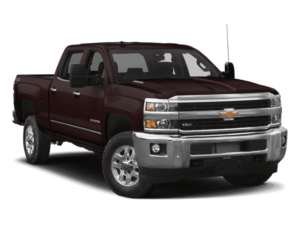 We are proud to offer some pretty outstanding trucks if we do say so ourselves, just like the Chevrolet Silverado lineup of trucks and some equally impressive Toyota trucks, such as the Tundra and Tacoma. From your first truck on, you can count on Ressler Motors to deliver where and when it counts. Learn more about the trucks we have and just how easy it can be to bring home one of your very own by contacting our friendly staff today. We promise that you will be glad that you did. Everywhere you look, it seems like there is a used truck for sale. Whether you drive around town or on your way to work, they are everywhere. But what are you really getting when you buy just any old used truck? Do you really know? When you shop for your next used truck, why not shop with a dealer that you can depend on? If it is on our lot, you know that you can count on it to get you where you need to go today, tomorrow and for years to come. Come get a better used truck. Find yours at Ressler Motors in Bozeman today.